41 years, 2 months, 19 days old age. Amal Clooney will turn 42 on 03 February, 2020. Only 9 months, 11 days, 2 hours, 29 minutes has left for her next birthday. Amal Clooney has celebrated the total number of 41 birthdays till date. See the analysis by days count and bar graph. Amal Clooney was born on 3rd February 1978 in Beirut, Lebanon. She is a Lawyer by profession and her clients include celebrities from around the world. Amal Clooney migrated from Lebanon to Buckinghamshire when she was just 2 years old. She was a bright student and completed her bachelor’s degree in law from St. Hugh’s College, Oxford. She then went and registered for LLM degree in the New York University School of Law. While pursuing her Master’s degree, she assisted Sonia Sotomayor (who is currently a part of the Supreme Court) as a law clerk. She was honored with the prestigious Jack J. Katz Memorial Award for her significant contribution in the field of Law. 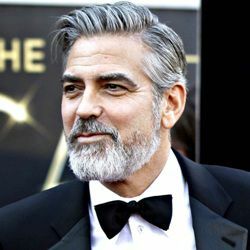 Clooney began her career in the year 2002 when she was inducted into the New York Bar Association. Currently, she practices law in both United States and the United Kingdom. She has also practiced in several international courts. In the year 2010, Clooney became a Barrister in London. She holds several important portfolios such as Adviser to United Nation’s chief Kofi Anan on Syrian issues, Adviser to King of Bahrain etc. She has also been a part of many high profile cases and her celebrity list includes Julian Assange, Prime Minister of Ukraine, Yulia Tymoshenko and the famous Egyptian journalist Mohamed Falmy to name a few. In addition to practicing law and serving as a guest faculty, she has been associated with various charitable organizations. She along with her husband has founded Clooney Foundation For Justice. She along with former Britain Prime Minister, David Cameron raised their voice for Madivian Democracy. She was born to Ramzi Alamuddin and Bariaa Alamuddin. She has one sister named Tala and two half-brothers named Samar and Ziad. She is married to legendary actor George Clooney and together the couple is blessed with a son named Alexander and a daughter named Ella. She is fluent in French, English, and Arabic. She was voted as London's hottest barrister. Her marriage pictures were sold to a popular magazine in order to raise funds for a charitable organization. She handles sensitive criminal, extradition and human rights cases at London’s Doughty Street Chambers firm. Her style statement has made news several times. For excelling in entertainment law, she received Jack J. Katz Memorial Award.